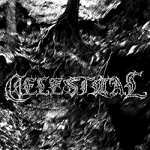 Review: "Celestiial: Desolate North" - Sea of Tranquility - The Web Destination for Progressive Music! Celestiial is a one-man funeral doom act hailing from the USA. The number of funeral doom bands in the US has been on a steady decrease in the last couple of years, so hearing this record was a great surprise. Led by Tanner Anderson, the songs on this disc are pretty long compositions, punctuated with moments that recall earlier Ulver and Agalloch circa Pale Folklore, particularly in the intro of "Haunting Cries Beneath the Lake Where Our Queen Once Walked". This is a song with slow, mournful riffs capped by distant whispers and vocals which are hard to understand but add a lot to the song. Actually the description on doom-metal.com is dead on: "A one man project by T.R. Anderson, Celestiial plays cold funeral doom, instilled with the pulse of nature and forests. Slow, bleak, and atmospheric doom with influences from various places in the history of funeral doom." Fans of Skepticism, Thergothon and Disembowelment as well as Evoken and Winter should be all over this album. Though mostly instrumental with minimal vocals, the songs draw distinct influences from typical funeral doom characteristics. The combination of vocals and electronics, keyboards and guitars, and syncopated drum beats as well as traditional instruments that include the harp and Native American flutes produces great atmospherics, underpinned by a forest-like mood (again, Agalloch anyone?) and the love for nature. The ever-present cymbals that crash every quarter note (see "Lamentations in the Citadel of God") may get some, but remember, this is the project of one man only and he does have to rely on programmed drums to realize his cause. The title track proves to be a welcome change of pace, starting with sparse keyboard sounds that echo on endlessly till the piece segues into "Thule", another song over eight minutes. The ghostly acoustic guitars underlie a stormy weather which thunders scarily and wild animals howl distantly in the forests. The whole song follows the same pattern until the next interval, "Hinterland", kicks in with more over-dubbed synths and piano work. These intervals serve to set the foundation of the songs they precede, which are decidedly longer and more complex. A bit monochromatic for some, but long-time doom metal fans should pick up Desolate North as soon as possible.